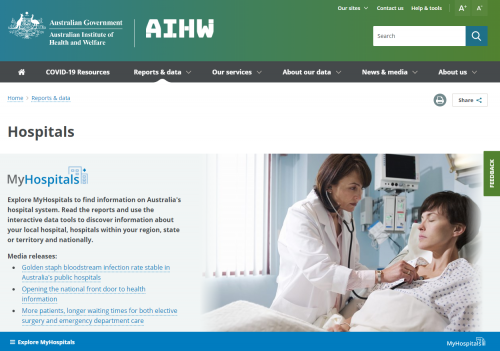 These websites provide important statistical information on Tasmania’s health system. A statistical overview of important aspects of the public health system. Statistical information on the health status of the Tasmanian population and the determinants of health in our population. Tasmanian public hospital healthcare associated infection surveillance reports. Quarterly communicable diseases reports containing information on all notifiable diseases in Tasmania and monthly flu reports. Performance, financial and staff information for ambulance services and public health services (see Part 1). 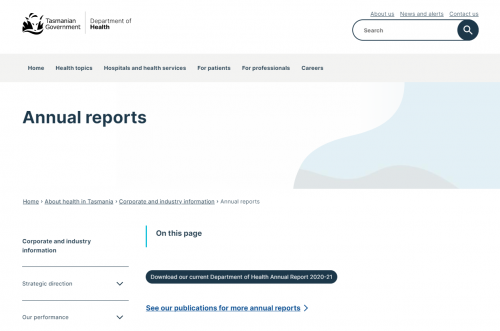 Similar information on hospital, oral health and mental health services is now included in Tasmanian Health Service annual reports. 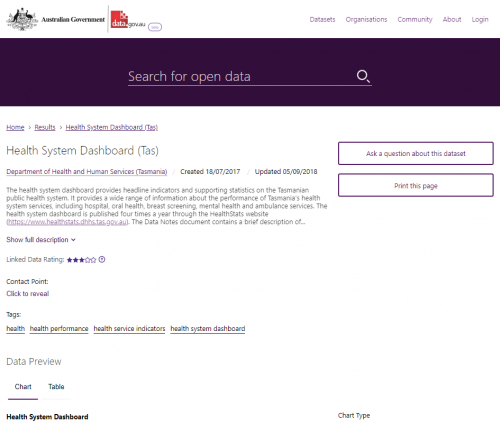 Provides access, using an open data format, to data that was published on the health system dashboard from the initial June 2015 edition through to the March 2018 edition. Performance, financial and workforce information for hospital, primary health, oral health and mental health services. See DHHS annual report prior to 2012‑13. 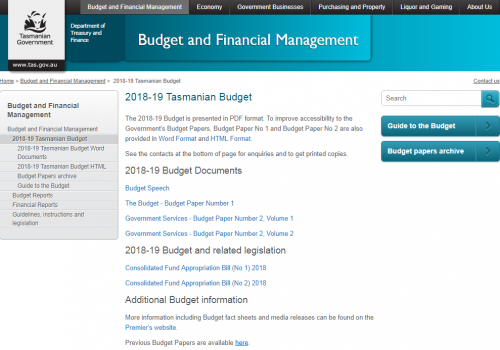 Budget Paper Number 2 contains financial and performance information for the Tasmanian Department of Health and Human Services and the Tasmanian Health Service. Information aligns with subsequent annual reports. Extensive range of reports and statistics covering health (including mental health), hospitals, expenditure, risk factors, diseases and death. These are national publications, though most present information for Tasmania. 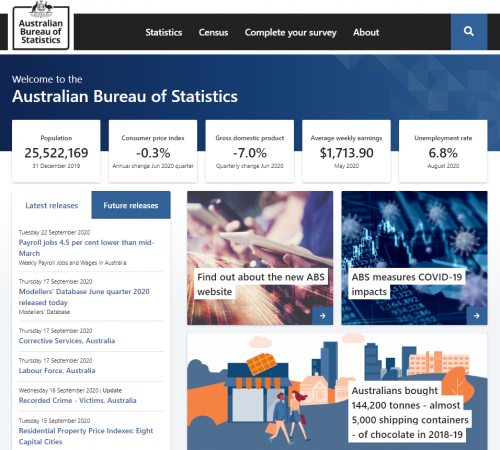 Australia’s repository for national metadata standards for health, housing and community services statistics and information. 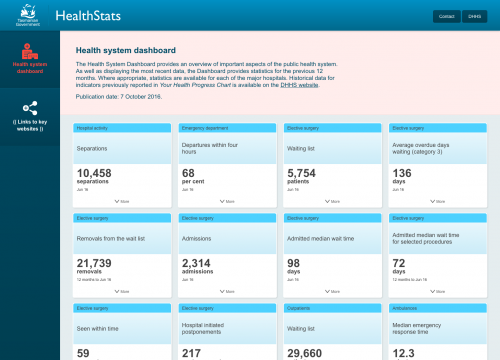 Performance information for public and private hospitals in Australia. You can also compare the performance of hospitals and find information about hospitals near you. 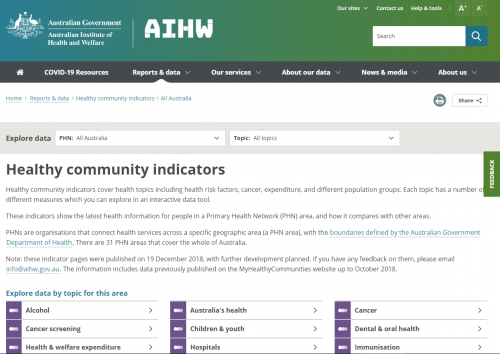 An interactive site that lets you see how your local health area is performing and how it compares against other similar areas. 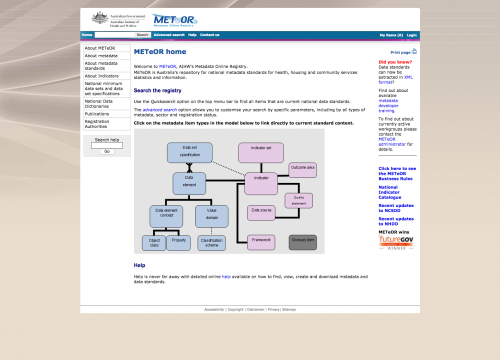 Provides easy access to data downloads available from the mental health services in Australia website. 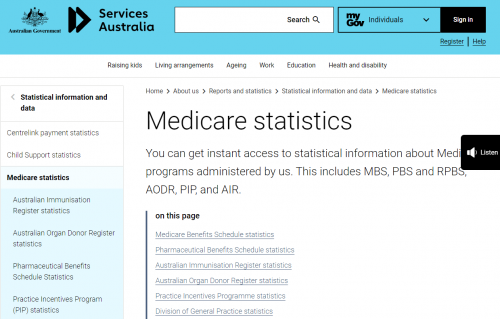 Access to a range of statistical information about Australian Government programs, including Medicare Benefits Schedule (MBS), Pharmaceutical Benefits Schedule (PBS) and Australian Childhood Immunisation Register. 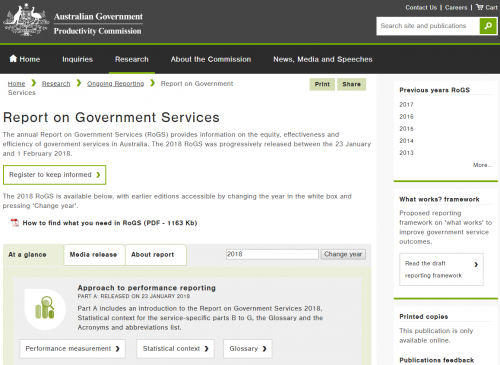 Information on the equity, effectiveness and efficiency of government services in Australia. See sections on health and on emergency management (for ambulance services). 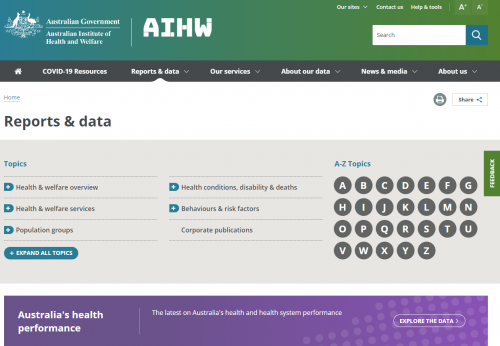 Range of publications covering health status and causes of death and key provider of Australia’s social and demographic information. These are national publications, though most present information for Tasmania.